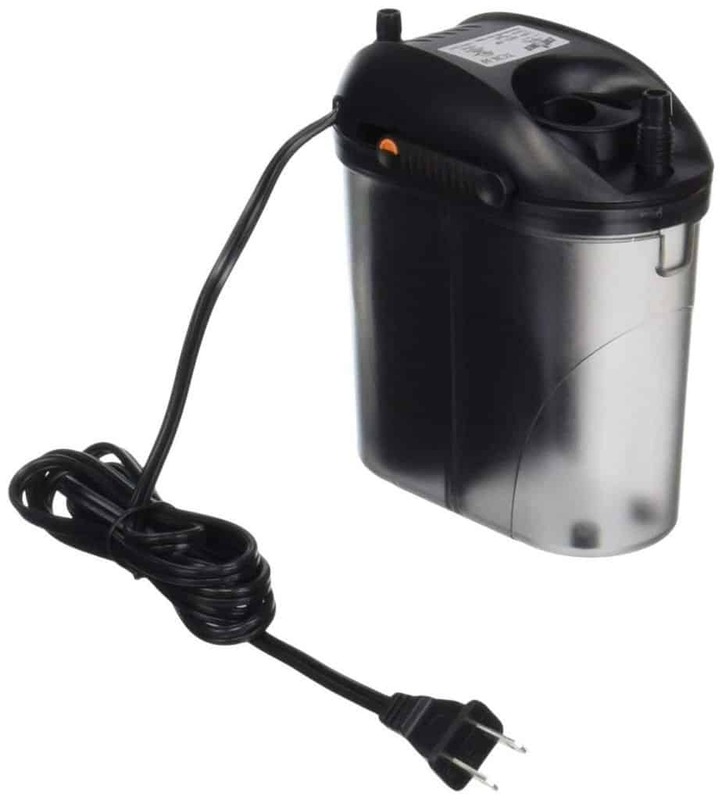 After a thorough research and testing the popular choices I have reached this conclusion that Zoo Med Nano 10 External Canister Filter is the best choice for a 10 gallon aquarium. Keep reading the rest of the article to know more about it. I have compiled and compared some other great options as well. Just like us, our fishes also need a comfortable and ambient place where they can live a nice healthy life. Often times we tend to overlook the importance of a good filtration system. However, to ensure a long healthy life of the fishes, a great filter is a must. Maintenance is one of the key issues when it comes about aquariums. 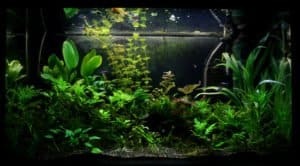 Sometimes it gets overwhelming with the growing algae, decaying plant leaves, and other wanted substances inside the aquarium. A good aquarium filter can reduce these nuisances to a great extent. 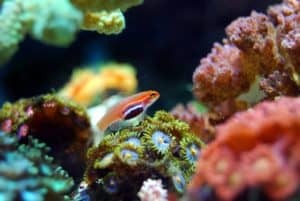 What is the importance of an Aquarium Filter? How does the Aquarium Filter Work? The Zoo Med Nano is a 10-gallon filter that’s loaded with some exclusive features. The large capacity of the filter provides great quality of filtration both in saltwater and freshwater condition. The build quality of the Zoo Med Nano is decent enough considering the price point. It has a sturdy construction and it features a compact saving design. The filtration chamber easily outranks any HOB (hang on back) filter of same capacity. The package comes with all three types of filter media, that is, sponge for mechanical, bio ceramic for biological and charcoal for chemical filtration. Though there are scopes of adding some more filter media as the supply doesn’t make it fully loaded. Setting up this Nano filter is super hassle free. If you’re a newbie then no worries. The package comes with a very detailed instruction manual that contains thorough details about its components and setup procedures. The intake tubing in this filter is much smaller and narrower than a full-size canister filter. 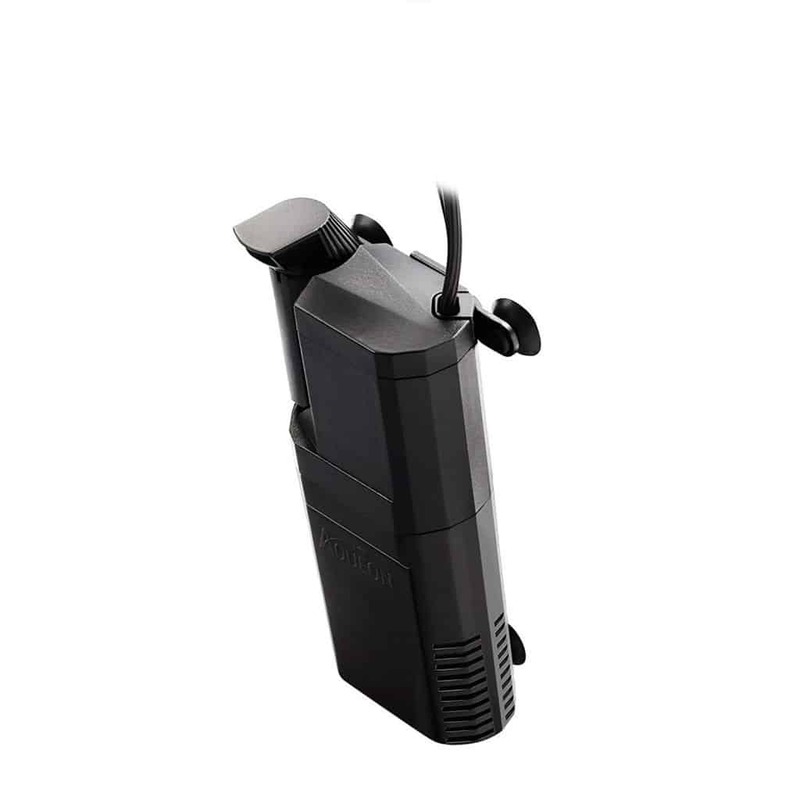 It also includes a spray bar which is a great addition to the Nano tank as it helps to minimize the intensity of the water flow on the filter. The Tetra Whisper is another great 10-gallon aquarium filter that offers quiet and smooth performance. 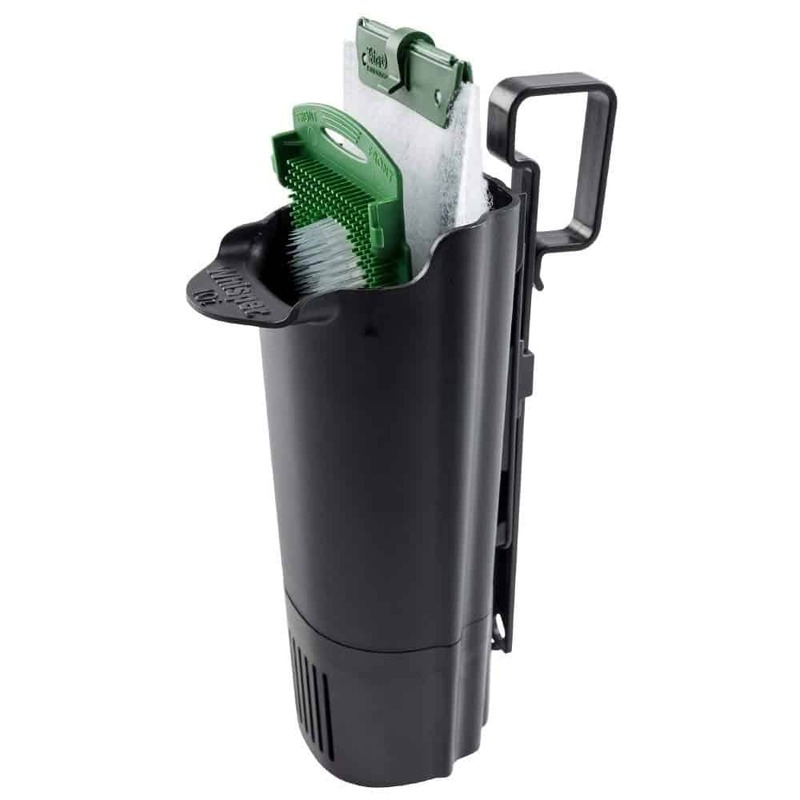 It comes with bio scrubber that has small bristles on them which catch the dirt particles. 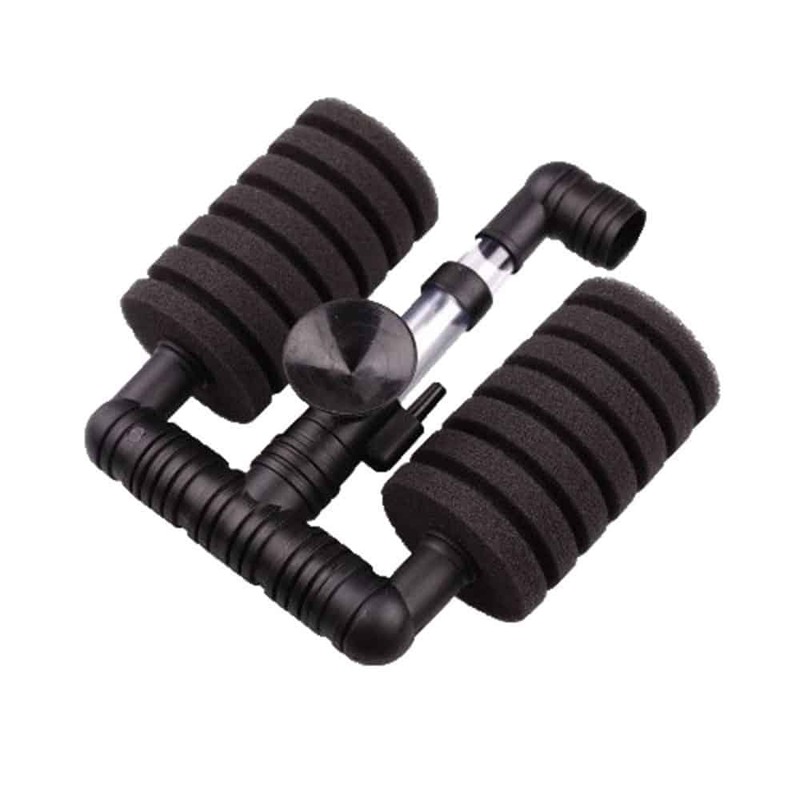 This filter has a very compact and lightweight size which is very suitable if you own a small aquarium. Even though it’s designed to filter 10 gallons of water but it can easily go higher than that. 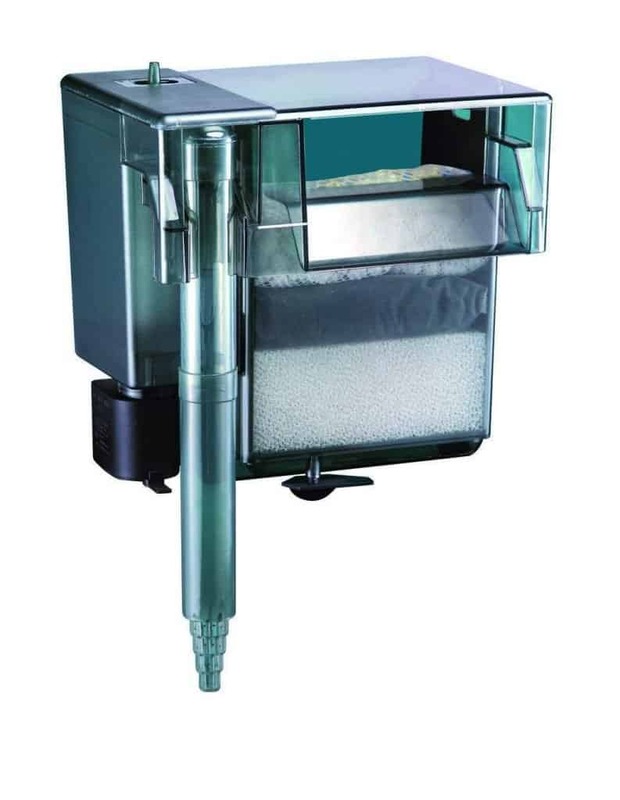 It features large Bio-bag cartridges that have a 3-stage filtration process that will keep the water environment the safest and cleaning for your fishes. It effectively removes all the excess food particles, decaying organisms, and other dangerous organic matters in the water. It comes with a quickly mountable suction cup so that you can easily get rid of all the waste materials. The Tetra Whisper also offers a flexibility of placement as well. It can install this with a hanger, a suction cup or even two suction cups as well. When it comes about noise, this filter might not be the top choice in this category. If you’re a light sleeper or you get bothered by continuous humming noise then this might not be the one for you. However, if you’re on a budget and want something compact-sized then do give it a try. 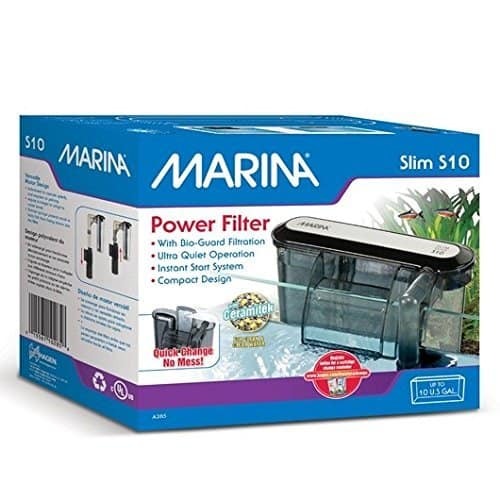 The Marina Power Filter is a beautifully designed filter that comes with a number of incredible features. Along with aesthetic looks, it will also retain a healthy environment in your aquarium. If you’re looking for an affordable filter that doesn’t eat up much space then the Marina S10 is your guy. The Marina S10 is a superb 10-gallon aquarium filter that has a very compact and slim size. The slim fit design incorporates easy to use cartridge system. Regardless of the compact size, it holds up plenty amount of filter media that will do an excellent job at filtering the tank water. It has an optimum flow rate that will keep the water clearing without stressing out the fishes. If you think the water flow is too strong for the fishes then you can always adjust it using the regulator valve on top of the inlet pipe. The pump which provides power to the filter is placed inside the tank which helps in reducing the amount of vibration it produces. It does create some noise that can be bothersome to people who prefer their filter to work quietly. If you’re in a shortage of space outside of the aquarium then get your hands on the Aqueon Quietflow as it can be placed inside the aquarium. This filter comes in several sizes however, for this review, we have picked the 10-gallon version as that offers the phenomenal performance for 10-gallon fish tanks. This filter has a very simple setup procedure. You just need to find it a sweet spot in the aquaria and mount it vertically using the suction cup that comes with it. The suction cup helps to keep it in an upright position and bear in mind that this can’t be placed in a horizontal position. Maintaining the Aqueon Quietflow is also very hassle-free. Since it needs to be placed inside of the aquarium it means you can just put it there and remain stress-free. It can perform the major kinds of filtration processes: mechanical, chemical, and biological. It can ideally remove excess food particles, debris, ammonia, odors, and many other impurities. The filter media it uses are easily changeable and the filter holds the optimum amount of them. The Aqueon Quietflow does justice to its name and operates very quietly. If you’re constantly annoyed by the filter making noise then this is the one for you. The Aqua Clear features a versatile hang on system. Often times the flow of water is too harsh on the delicate fishes. However, with this filter, you don’t have to worry about such things as it allows you to control the flow rate without hampering the quality of filtration. It does a phenomenal job when it comes about filtration. It incorporates biological, chemical, and mechanical filtration to ensure the best environment to the fishes. It gets rid of all the harmful elements in the water while retaining the beneficial ones. The Aqua Clear features three different compartments. The bottom compartment helps to remove the debris and creates an environment where the filter media can work with their full potential. The middle layer contains premium quality carbon that effectively removes all the unwated impurities from the water. The top compartment holds BioMax ceramic rings that create a room for beneficial bacteria. This filter is extremely durable. However, it comes it two years manufacturer’s warranty. So, if you face any sort of problem, you can always contact them to ask for a refund or repair. If you’ve been recently exploring the fishing community and you don’t want to splurge on the filter then there’s no better choice for you than the XY-2831 Air Pump Sponge Filter. Despite such an affordable price tag, it offers excellent performance. The sponge system offers great filtration and it offers both mechanical and biological filtration. It’s an awesome filter for 10-gallon fish tank and it’s quite suitable for shrimp tanks and breeding tanks for small fishes. Setting up this filter is quite easy. It comes with a simple suction pump to attach it to the tank’s glass. The air gets discharged from this filter in the right-angle direction. However, placing the tube in such direction can be overwhelming for the fishes and the rate can too high for the delicate fishes. So, you can rotate the discharge tube to change the direction of it to keep the fishes safe from the high rate of discharge. This sponges in the filter soak up the impurities and keep the water of the aquaria clean. You need to clean the sponges regularly to keep it working. The cleaning process is fairly easy. Take some water from the tank itself and rinse gently. Eventually, you’ll end up with clean reusable sponges. An aquarium filter keeps the environment inside the aquaria healthy by constantly removing the unwanted substances inside. 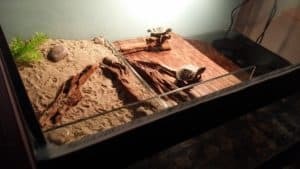 The water inside the aquaria contains a number of substances such as excess food, decaying matter, and the fishes continuously keep excreting waste materials as they swim around. It’s vital that these toxins are properly cleaned to prevent the fishes from dying. These chemicals gradually create a poisonous stage known as “ammonia stress” that leads to poisoning the fishes with ammonia, eventually killing them. An aquarium filter eliminates these risks by keeping the environment healthy for the fishes. The process of filtration takes place in three ways: biological, chemical, and mechanical. Biological filtration is an absolute must if you want to reduce the amount of maintenance required for the aquarium. As we mentioned earlier that the fishes constantly excrete as they roam inside the aquaria. Just like human waste or any other animal waste, these can create a toxic environment if not cleaned properly. A biological filtration converts the poisonous ammonia into Nitrite and then convert the Nitrite to Nitrate. Nitrate is indeed quite harmless compared to ammonia or Nitrite. However, if the water isn’t changed regularly then this “innocent” (pun intended) chemical can cause kidney, liver or eye damages to the fish. The chemical filtration is basically the removal of toxins and other impurities from the water. The process is obtained by providing carbon or chemical resins which extract the toxins from water. The activated carbon will keep absorbing the toxins until it becomes saturated. The activated carbon of 1 cubic inch can filtrate up to 2 gallons of water for about a month, so, little will definitely go a long way with chemical filtration. However, to make this process work, there are several criteria that should be met. The chemical content of the water plays a crucial role in it. Water with high chemical content will saturate the activated carbon faster. If you put additional supplements or elements in the water that will also speed up the saturation process. An even rate of water flow is also very important for this process. If the water moves too quickly then the carbon will not be exposed to the toxins. Therefore, the result will not be as effective as expected. 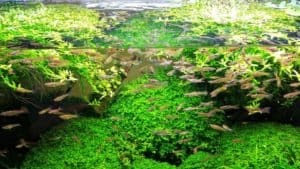 If there’s an excess population of fishes or insufficient amount of water changes, then that will also make the carbon to get saturated at a higher rate. The mechanical filtration process is also known as particulate or physical filtration. The purpose of this filtration process is to maintain water clarity. In this process, a strainer catches the floating elements that can’t pass through the openings of the filter media. The media could be aquarium gravel, sand, filter pads or even a filter floss. The result of the mechanical filtration process relies heavily on the quality of the media. The finer the media, the better it will strain. Mechanical filters generally have multiple layers of media to get the optimum result out of it. The market is filled with countless models of filters. Sometimes it gets really hard to choose the right one for yourself. In this review, we have picked the best 10-gallon fish tank filters, keeping in mind a wide array of users with different needs and budget range. We have incorporated the pros and cons in this article and also the necessary information you need to know before buying the filter. 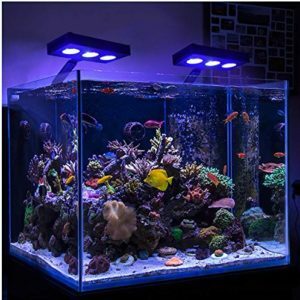 To know more about the best aquarium filter for large tanks click here.